← What a day of learning! 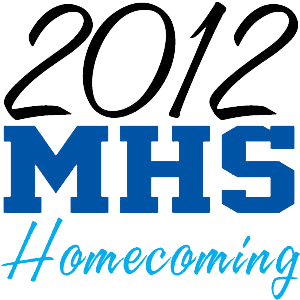 We are a week away from one of Midlothian’s most participated community events each year…Homecoming! The 2012 Midlothian High School Homecoming will be celebrated the week of October 22 with community festivities concluding with the varsity football game between the Panthers and the South Grand Prairie Warriors next Friday, October 26th. The parade will be led by Grand Marshal Ethan Hallmark, a 6th grader at Frank Seale Middle School who was diagnosed with Stage IV High-Risk Unfavorable Neuroblastoma in 2010. In addition to the traditional Panther Spirit theme, the parade will feature Midlothian’s Support of the Fight to Find a Cure for Cancer. Best Panther Spirit and Best Fight for the Cure will be awarded and announced at the Panther Homecoming football game that evening. Note: The parade will be canceled if weather conditions are unsafe. Email midlothianpanthercheerleaders@gmail.com for parade questions. The Homecoming Court will be recognized during halftime and the Queen and King will be crowned. We hope you join us for several of the festivities throughout the week. Elementary students are allowed to wear their athletic and community-sponsored apparel on Friday during school to show their Panther pride and spirit. Our Miller PTO is selling Panther spirit items in the cafe during lunches on Wednesday and Thursday next week; a note went home today with students. Note: LME has our annual Fall Book Fair Oct. 22-26; join us for some wonderful book bargains! This entry was posted in Personal Reflections and tagged Homecoming. Bookmark the permalink.